In the decade since the Most Serene Republic released their debut Underwater Cinematographer, the band have grown up. They released a string of complex and challenging recordings, took a much-needed five-year break, and members went back to school, got jobs, joined the navy, got married, and had kids. On their fourth LP Mediac (out now on MapleMusic), the Most Serene Republic are at their most accessible, a result of their maturation and time away from music. "We used to feel that we had to be weird and different because same had already been done," pianist and producer Ryan Lenssen tells Exclaim! "As time went on, I started to hate music because of that challenge. Music went from super important, to not important, to now, kind of important. It's that middle ground where I get to sit now and appreciate continuously putting in the effort to make music." Manager and guitarist Nick Greaves adds, "I think we realized that we have something good so why stop that." Mediac — meaning someone who is addicted to media — was recorded over four years primarily in bedrooms, basements and living rooms across Toronto. Many of Mediac's songs were written alongside those from their 2009 record …And the Ever Expanding Universe for a side-project that never came to be. "The side-project was going to have the same members as the Most Serene Republic," says Greaves. 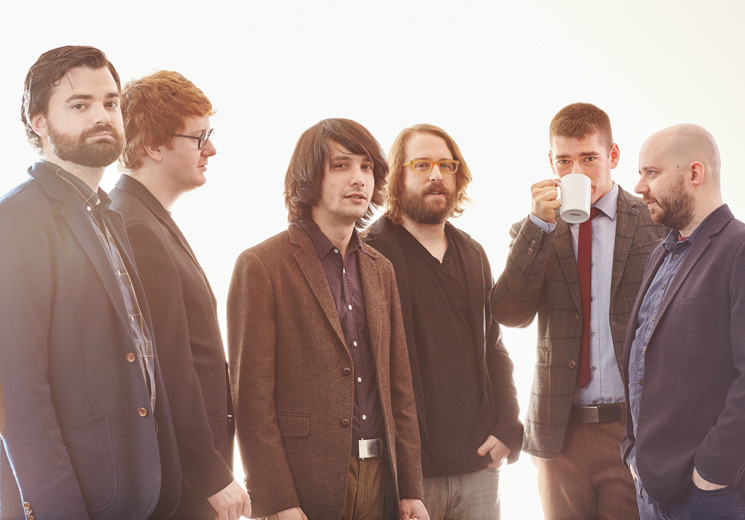 "The Most Serene Republic was going to be the weird art band and that project was going to be the pop band." Noticeably brightened by ebullient horns and memorable melodies, the poppy make-up of Mediac doesn't replace the band's topical and intelligent observations about changing society — a mainstay of all of their work. "It's a very personal record just like all of them," explains Lenssen. "Some have concept records, I think that we have a concept band," he continues. "From Underwater Cinematographer all the way up to now, our albums have pretty much had this constant theme of anxious socialization. We really don't have love songs and we don't have break-up songs. We're not a political band but we only seem to deal with this bizarre middle ground of sociology and philosophy." There's a confidence though to Mediac that the band credits with no longer struggling to figure out who they are anymore and recognizing how important the emotional connection to music is. "It's been a really crazy ride to understand that," Lenssen says. "If the album reflects anything, it reflects that we're happier with ourselves." Listen to Mediac's "Love Loves to Love Love" below.